Time goes by for everyone, and that includes your Mac's operating system. This is why it is advisable to update it, as you will find new features have been added and errors corrected regarding the out-of-date version. 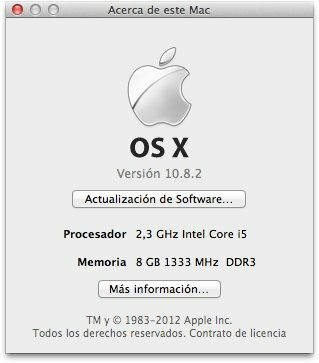 If you're a macOS Mountain Lion user, you should know that an update that improves the previous version is now available. 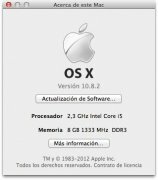 The update of Mac OS X Mountain Lion includes a variety of improvements, many of which are focused on social networking functions such as Facebook and Twitter and also Game Center, the iOS gaming service for sharing scores with other online players. Stability, compatibility and security aspects have also been optimized, solving some problems from the earlier version of this operating system. Specific functions for using Facebook, such as the single sign on, content sharing and synchronization of your Facebook friends with contacts from your Mac's contact list. Integration of Game Center in Mountain Lion so that you can share scores on social networks, sync your contacts with Facebook and challenge your friends. Allows you to read iMessages sent to your phone. Improved system for organizing notes. 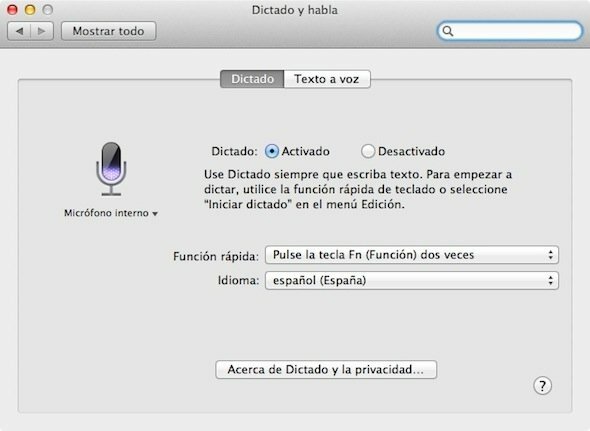 Dictation function that recognizes new languages , including Spanish, French and Italian. Inclusion of French definitions in the dictionary application. Option to open previously viewed websites with Safari. Download Mountain Lion Update and make your operating system safer and more reliable, whilst enjoying these new features. This download requires Mac OS X Mountain Lion 10.8.4.